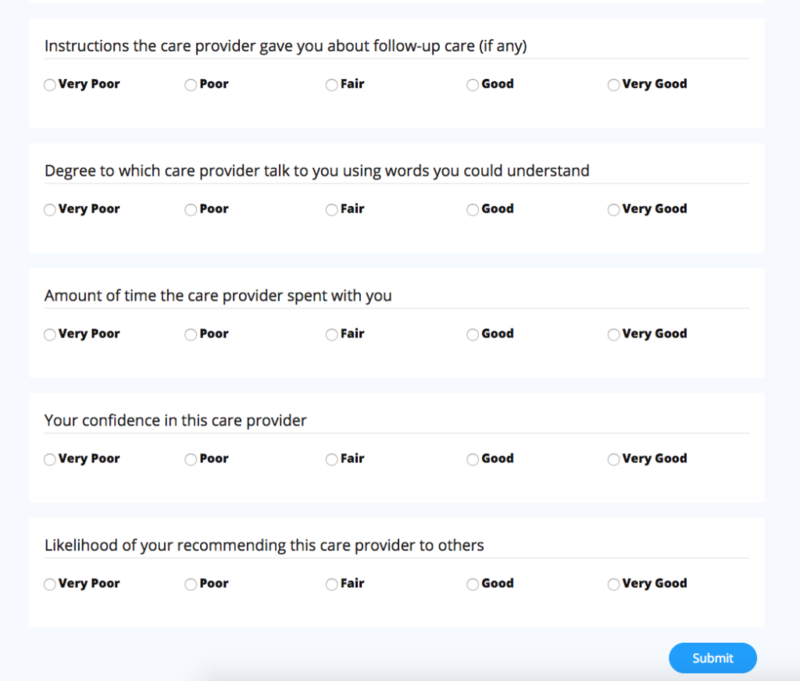 The health survey is meant to help hospital and practice managers, doctors, and other medical professionals get a deeper look into how patients are finding their service. Patient experience is a top concern for doctors and managers alike, so this survey can help you gather vital information about how well your process is working. 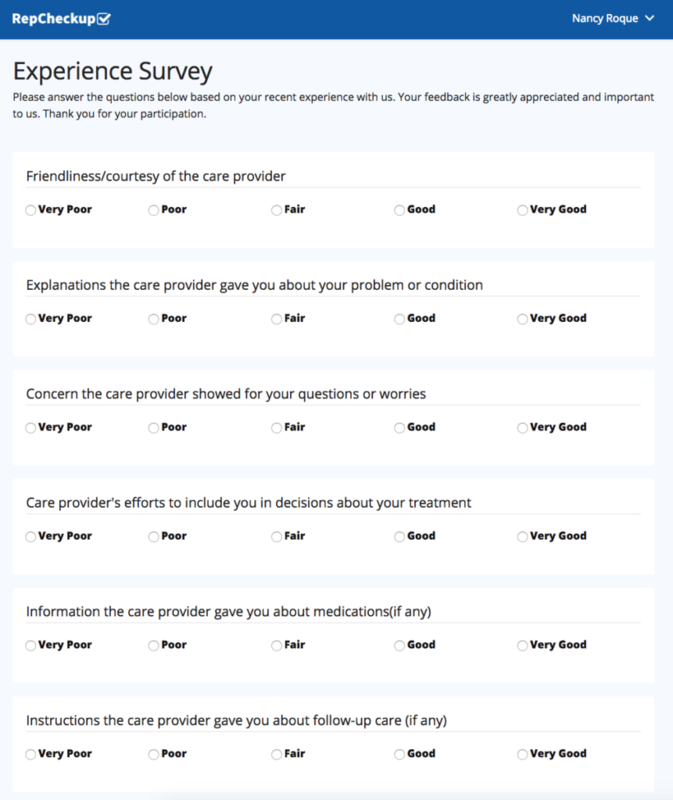 Your patients will see the survey below when you send them the Health Survey.